IELTS vs PTE | Comparision between IELTS vs PTE | Which is easier? Many of us, considering the option of going abroad, often think of different options and choose the easier one. Not just for going abroad, even when it comes to day to day life, we choose to take the shortcuts provided by the Google map. The confusion of choosing between IELTS and PTE has been lingering for a few years now. The old grandpa, IELTS has been there in the field for a few decades now, whereas PTE is our new star-struck hero. With this article, we hope to resolve some of your confusions. So delve into the differences and see what works best for you. But before you move ahead, remember. IELTS or the International English Language Testing System, as a standardized English test, was established in 1989 and is jointly conducted by the British Council, IDP: Australia (the cultural and educational services of UK and Australia) and Cambridge Assessment. PTE or Pearson’s Test of English, as the name suggests, was introduced by Pearson in 2009. Like IELTS, PTE too is an English test to evaluate the English proficiency among speakers whose mother tongue is anything but English. In order to migrate or pursue higher education abroad, you need to write one or the other English screening test, viz., IELTS, TOEFL, PTE, GRE, etc. While our old grandpa, IELTS, has been into business since many years now and is accepted by over 9,000 organizations and institutions across all continents of the world, our new kid, PTE too, is gaining grounds rapidly, in countries like Australia, Canada, New Zealand, UK, etc. 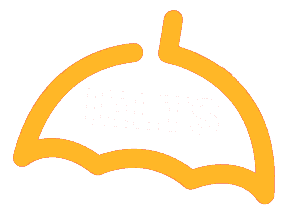 IELTS is available in two versions, Academic (for those who desire to go abroad for educational purposes) and General Training (for job and migration purposes). Though PTE is available in three versions: Academic, General and the Young Learners Test (for children) globally, Indian citizens only get to write PTE Academic. The score of PTE Academic is applicable for all purposes in this case. Knowing a language refers to the capability of performing all functions in that language, i.e, the ability to understand, speak, read and write in that language. Both IELTS and PTE are designed to test the very same skills, viz., Listening, Speaking, Reading and Writing. In terms of testing, the old grandpa is traditional, even orthodox to some extent and follows his grammar textbook to the T. PTE, being a millennial child, is contemporary, cooler and experimental, by definition. ‘Old’ stands for ‘traditional’, and as such, IELTS follows the traditional method of pen-and-paper method of testing. This, in most cases, works in our favour, because our Indian educational system has moulded us in the exact same way. PTE, as the ‘contemporary’ would have it, is a computerized test. A computed score is undoubtedly, quicker and more accurate. However, PTE, because of the same reason, has a few restrictions. Speakers of Asia, Africa and a few parts of Europe are at a disadvantage here because the computer is coded with the English accents of UK, USA, Australia and New Zealand only and our accents are often not scored well in the test. Both the tests are divided into Listening, Speaking, Reading and Writing sections. While the IELTS test is conventionally designed with a fixed number of questions, the PTE sections often display innovative techniques of testing. The IELTS Listening and Reading sections have 40 questions each, to be completed in 40 and 60 minutes, respectively. The question varies between Fill in the blanks, Match the following, True and False, etc. The Writing Section has 2 tasks (Describe the Image/ Letter writing and Essay writing) to be completed in 60 minutes. The Speaking test, held on a different date for 11-14 minutes, is a face-to-face interview with an examiner. The PTE Listening and Reading sections do not have a fixed number of questions or a fixed time for answering. The Writing section has two variants of tasks (Summarize written text and Essay writing). PTE is more innovative in terms of the type of questions and has a flexible number of items to be answered and the time allotted for them. The Speaking section, unlike IELTS, is also computerized and has its own pros and cons. The PTE test is conducted at a single stretch on one single day, which is advantageous over IELTS, which is often conducted over two days. Like all your conventional school and university exams, the old grandpa evaluates your papers manually. The papers are sent to certified IELTS evaluators for scoring. On the other-hand, PTE is uber-cool with its computerized evaluation. If you are looking for a quick scoring, PTE is the test you should take because it takes five business days for your results to be published. IELTS takes upto 13 days for publishing your results. However, in terms of scoring, IELTS Speaking is safer for Indian speakers, just because there is a highly experienced human being examining your speech and not a pre-uploaded computer with British, American or Australian accents. And now, we come to the part most of you are reading this article for. Which of these tests is easier? Many authorities around the country might advise you to take PTE because it is easier to score. This, however, is a hoax. IELTS and PTE hugely vary in terms of content and as such, their scoring method is also far from each other. IELTS being the old grandpa, is traditional, and thus very close to our education system. PTE, on the other hand, is innovative, both in terms of content and scoring. If you are technically sound, you may as well want to choose PTE over IELTS, but remember, ‘autocorrect’ rules over most of our social media activities or any other digital platform and PTE will give you no such leverage. PTE is not as orthodox as IELTS in terms of testing, but there is a high chance you might struggle to score in PTE Speaking, which is computed, because of pre-installed native English accents which are no way close to Indian English. However, for people with short-lived concentration power, the millennial child, PTE is better suited with 20 types of shorter timed-questions, compared to IELTS’ 12. In short, if you are assuming that one test is easier than the other, you are up for a heartbreak. Both are equally challenging in their own ways and requires intensive preparation before the test. With adequate preparation and focus, no goal is impossible and the same goes for IELTS and PTE. So prepare well and show the country that you can be just as good in English too!